And Yet They Deny: "Peekaboo; Eye See YOU!!" 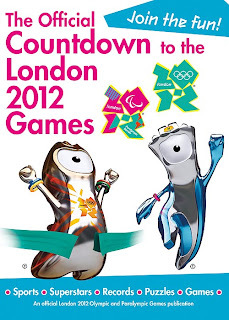 - "Official Countdown to the London 2012 Games"
"Peekaboo; Eye See YOU!!" - "Official Countdown to the London 2012 Games"
The Olympic and Paralympic Games are coming to London. Start your own countdown to the greatest sporting event on the planet - open this book to get essential information on Olympic and Paralympic sports, plus amazing facts, records and profiles of sports superstars. Test your sports knowledge with puzzles and quizzes and join the London 2012 mascots, Wenlock and Mandeville, as they discover the history of the Games from ancient Greece to the 2012 celebrations"
Only 488 days to go!